The amazing exploits of the courageous Madam Castello on her marvellous horse "Jupiter". 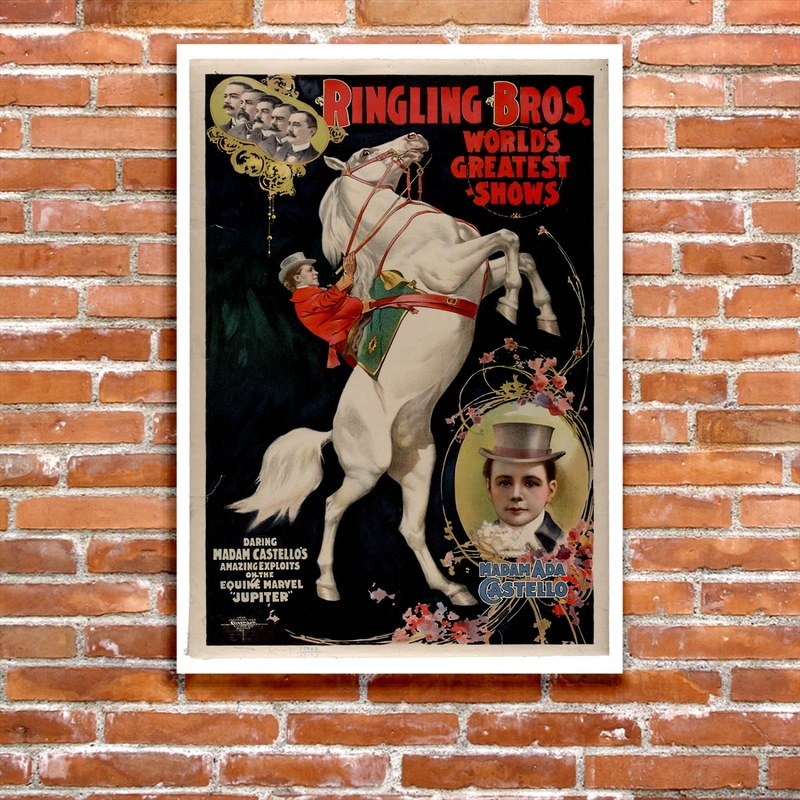 The original promotional poster for Ringling Brothers by the Coach Lithographic Co., Buffalo, New York, 1899. Ada ("the Great Zazell") Wallett [Castello] was born on the 5th of January 1865 in Birmingham, England, she performed throughout the USA and a number of other countries. 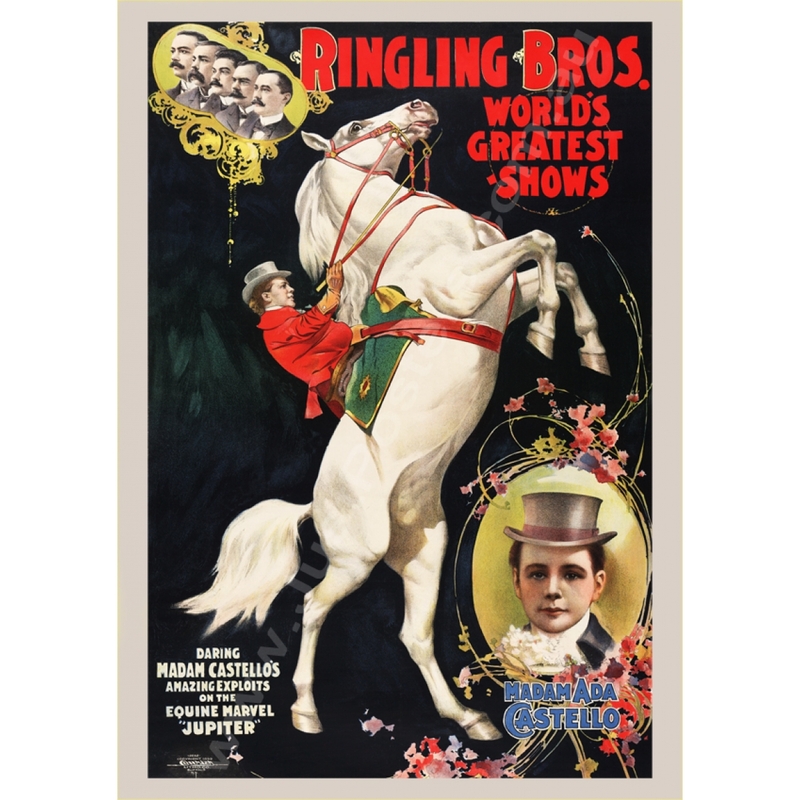 She performed in an equestrian act with her husband, David Castello Loughlin who was the son of Dan Castello, a co-founder of the famous Barnum & Bailey Circus. Travelling circus in the early 1800’s only had one or two performances per location and Circus Posters became crucial for the drawing crowds. Many early of the early prints were created by simple woodblock with few design elements. Pre-printed images and custom “Overprinting” for each new location; the Circus Name and the Price of Admission. 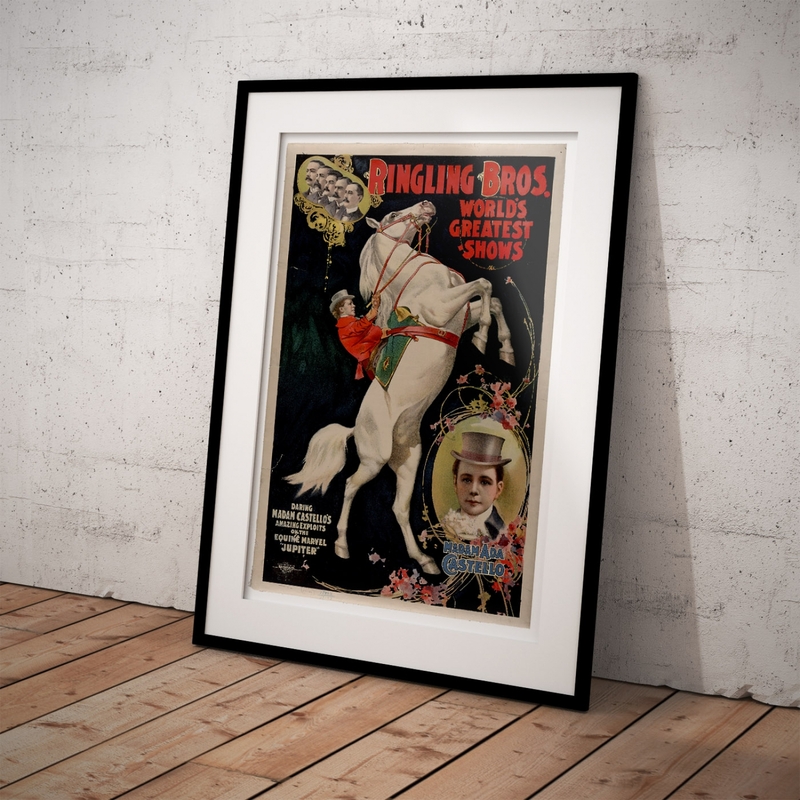 Subsequently, in the early 20th century, full colour, extraordinary custom designs of clowns, animals and ringmasters became the standard for circus posters. 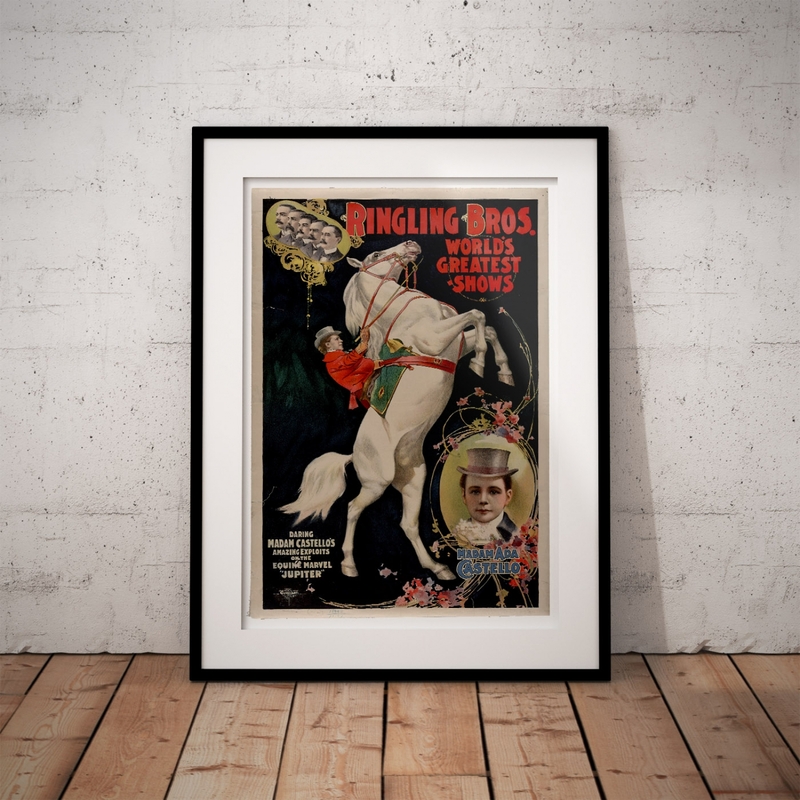 The "Ringling Brothers, Madam Ada and Jupiter" Poster print is a reproduction of a Vintage Circus Poster. Daring and Dangerous Equestrian Act - Vintage Circus PosterThe Barnum & Bailey Greatest Show On ..
Bombayo the Man from India - Vintage Circus PosterHagenbeck-Wallace Circus Poster [1907-1929]The Hag..
Children's Favorite Clown - Vintage Circus PosterRingling Bros and Barnum & Bailey Combined - Vi..
Kangaroo Boxer - Vintage Russian Circus PosterVladimir Durov - Kangaroo BoxerThe original poster dat..